IBM FRU P/N 05K4874 Thinkpad Port Replicator. 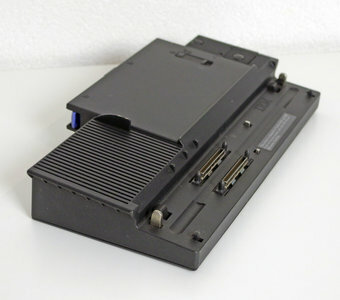 The IBM Thinkpad Port Replicator FRU P/N 05K4874 (later known as 05K6161) with advanced etherjet contains basic pass-through connections for the notebook ports. Besides the Port Replicator has two Cardbus slots.